When you hear the words “Dim Sum,” the encyclopedia of food in your brain probably pulls up images (and smells) of rusty carts being wheeled around by ladies who MUST be centenarians peddling chicken feet in something gelatinous along with unidentified deep fried parts. At the very least, you think of chubby dumplings. 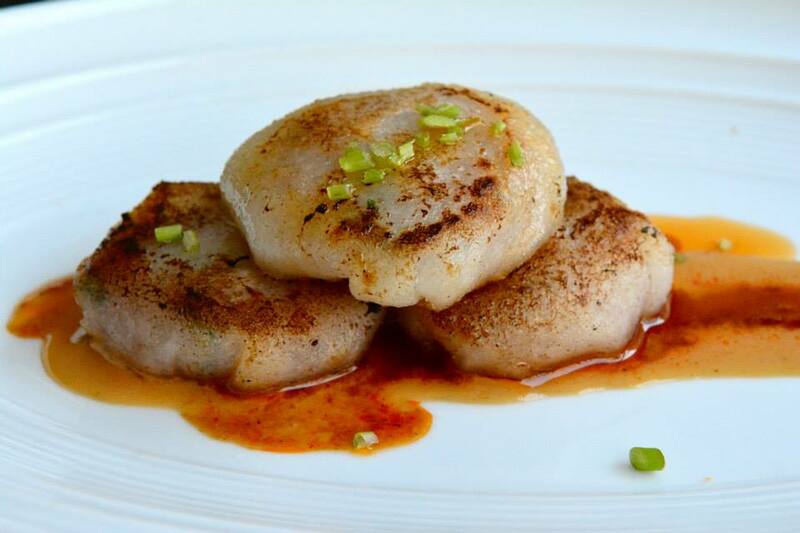 But, there are no carts at The Source’s Dim Sum Brunch, a truly special treat available on Saturdays at the restaurant abutting the Newseum. 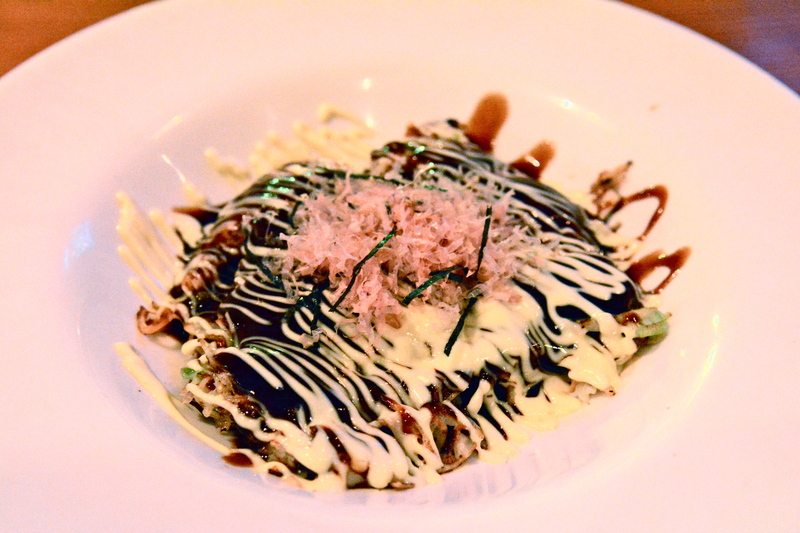 Furthermore, The Best Thing on the Menu is not a dumpling, nor some noodles. 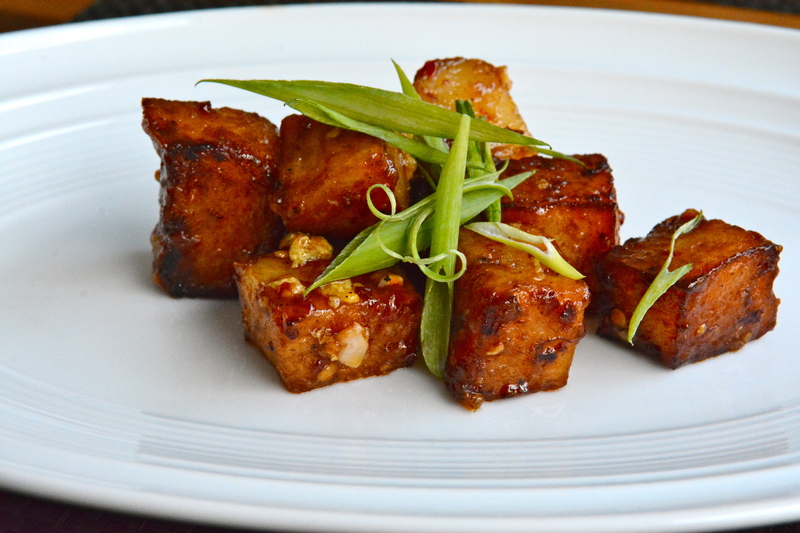 Rather, the BTM is a set of humble turnip cakes dressed only in Szechuan sweet soy sauce and some wisps of green onion. Asian food is as much about texture as it is about flavor, and that’s why this dish steals the show. Each LEGO-sized square is the best kind of chewy – keeping your mouth occupied long enough for your dining companion to tell a story. Those who have avoided turnips at family dinners for decades need not worry, there’s hardly a harsh radish taste. All you taste is the tangy sauce and a bit of earthiness. Chef Scott Drewno’s menu gives you ample opportunity to explore, and for a price that’s somewhat of a steal. Try 5 tastes for $32 or 8 for $42. Other can’t-misses include the Shanghai Noodles because they’re potpourried with fragrant chills and savory bits of oxtail; either the duck or lobster bao buns (an order comes with two baos, just like our city’s favorite panda); and the crystal chive dumplings bursting with kurobuta pork and Maryland crab. Pork and crab = the best kind of surf n’ turf. Turnip cakes not your BTM? Post your favorites in the comments section. Korea and Japan play nice inside of this bowl… real nice. 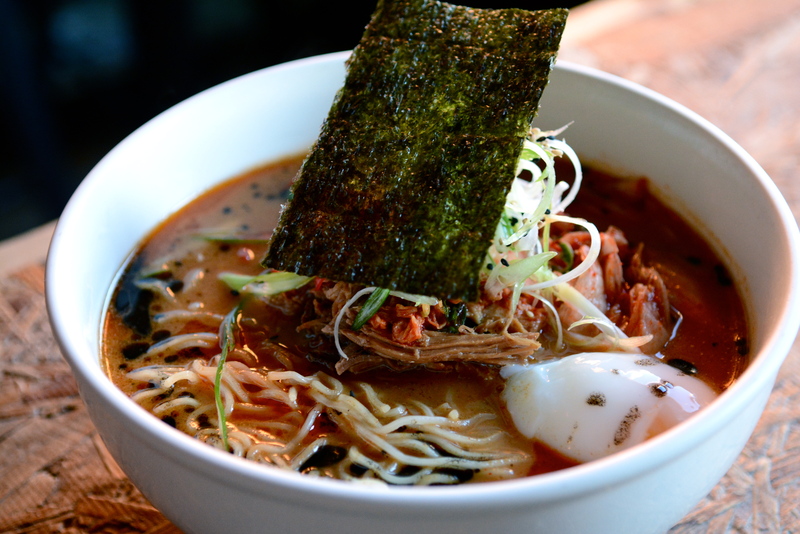 Traditional ramen is elevated and enhanced by the distinct flavor of kimichi in Toki Underground’s Best Thing on the Menu: Kimchi Ramen. Their other flavors are top of the line too, especially the homey and comforting red miso or the subtly sweet (never spicy) curry. But those who like heat, and a little bit of funk, should go with our pick for BTM. 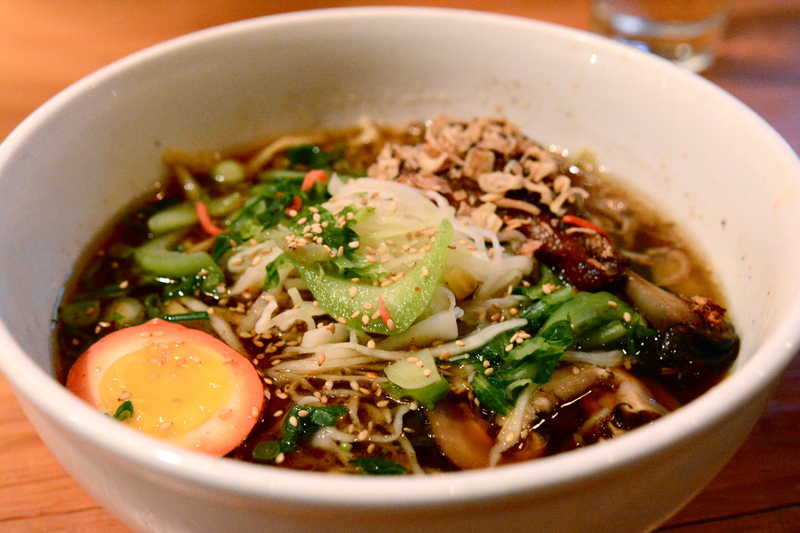 All of Chef Erik Bruner-Yang’s ramen dishes are inspired by a Hakata Ramen shop in Taipei. In a fun coincidence, I spent two years living in Hakata (Fukuoka Prefecture, Japan) and can say with confidence that I prefer Chef Yang’s piping hot, flavorful bowls to even the most secretive train station ramen shops. On a final note, it’s nice that Americans haven’t adopted the slurping system of cooling noodles. Let’s keep it that way. That sound still haunts my dreams. Kimchi Ramen not your BTM? Post your favorites in the comments section.